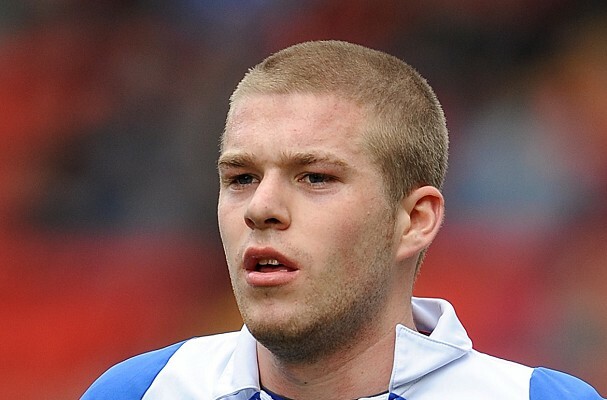 The last day of the season in the Football League saw the end of the time away for many of the Leeds loanees – only Adam Clayton is involved in the play-offs. It’s been a mixed season for many of the players but they will all be looking forward to renewing the fight for a first team place or perhaps looking for pastures new in the summer. Ramon Nunez scored his third goal for Scunthorpe as they drew at home to Portsmouth. It was a fantastic twenty yard strike and he could have extended his tally after going close with another long range effort. His contract is up in the summer so it remains to be seen how much time he will have left at Leeds United. Aidy White and Adam Clayton played ninety minutes each as MK Dons got the better of Oldham. Clayton’s through pass took a deflection to set up the Dons opening goal. Some Oldham fans have complained about White’s inconsistency but would still like to see him at Boundary Park for another season. It could happen as Simon Grayson suggested this week that, though he’s not ruling out his first team chances at Leeds, he could well go out on loan next season. Clayton will stay with MK Dons until their involvement in the League One play-offs is over. Fede Bessone played ninety minutes for Charlton in a goalless draw versus Hartlepool. According to fans he had a decent enough performance and even managed to test the opposition goalkeeper. A nightmare start to his Leeds career and an inability to convince the Charlton faithful during his time in the capital leaves doubts over his future. Tom Lees played the full ninety for Bury in a 3-3 draw away to Stevenage. As we highlighted earlier in the week, Grayson has not ruled out Lees’ future involvement in the Leeds first team but has suggested there are clubs interested in taking the young defender on loan next season. Loan players will return to Leeds and, depending on individual contract extensions, will take part in pre-season.